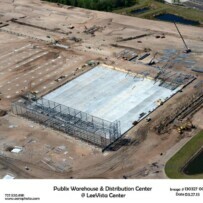 Performed initial baseline schedule review of for $35M+ cold storage warehouse project. Project includes extensive steel framing, tilt-up pre-cast concrete walls, and owner furnished (by separate contract) complex automated merchandise storage and retrieval system. Following baseline review with comprehensive report and recommendations, have followed up with review of several periodic updates.